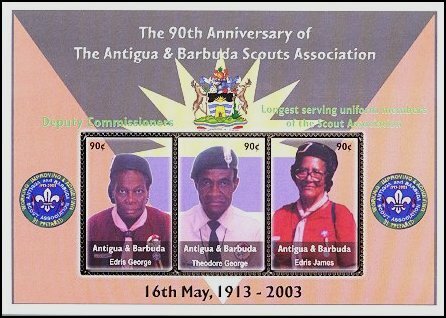 The 90th Anniversary of the Antigua & Barbuda Scouts Association. Issue Date: 1 May 2003. 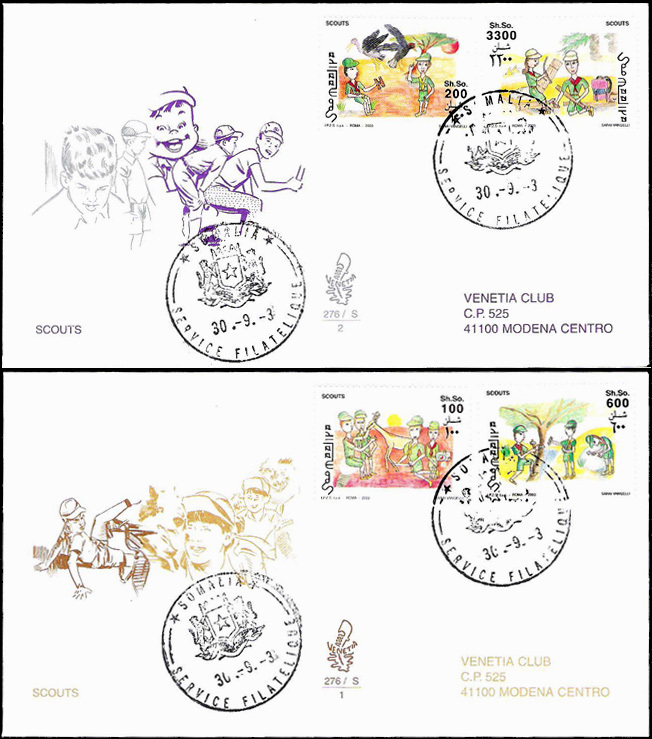 4v stamps, 3v sheetlet, 1v MS.
Issue Date: 24 October 2003. Design includes painting of Scout, Scout logo. 2v, 60.00 CVE and 100.00. Issue Date: August 14, 2003. 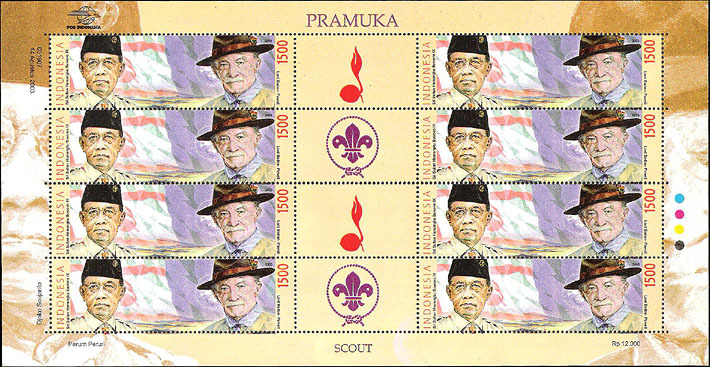 The Directorate General for Posts and Telecommunication of the Republic of Indonesia, issued a special stamp depicting Sri Sultan Hamengku Buwono IX, Founding Father of the Indonesian Scout Movement, and Lord Baden-Powell, Chief Scout of the World. 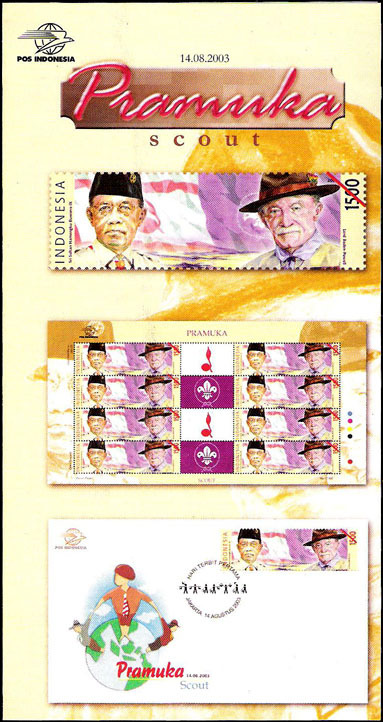 The designer of the stamp is Djoko Soejanto from PT Pos Indonesia (Indonesian Post). The denomination (face value) for each stamp is Rp 1,500 (about US$ 0.25), and issued in quantity of 320,000 stamps. 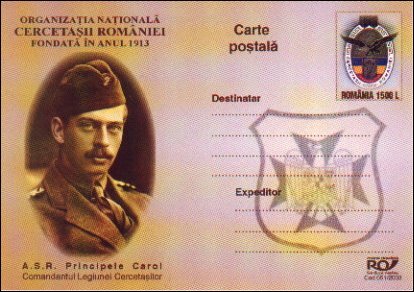 The size of the stamp is 82.12 x 25.31 millimeters, with perforation 12.75 x 13.50. The stamp issued in 5 colors, printed at Perum Peruri (Indonesia Security Printing and Minting Company) on white unwatermarked paper with PVA gum. The printing process is full rotogravure. 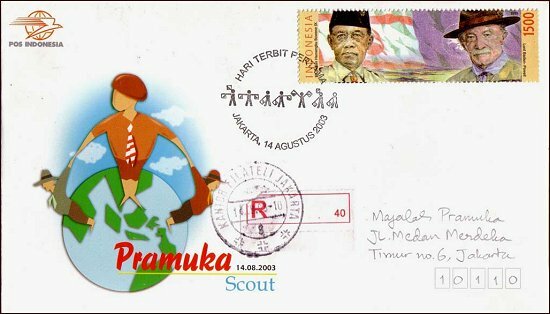 The official First Day Cover (FDC) issued by PT Pos Indonesia, printed in quantity of 10,000 pieces, with selling price Rp 3,500 (about US$0.40) for each FDC. 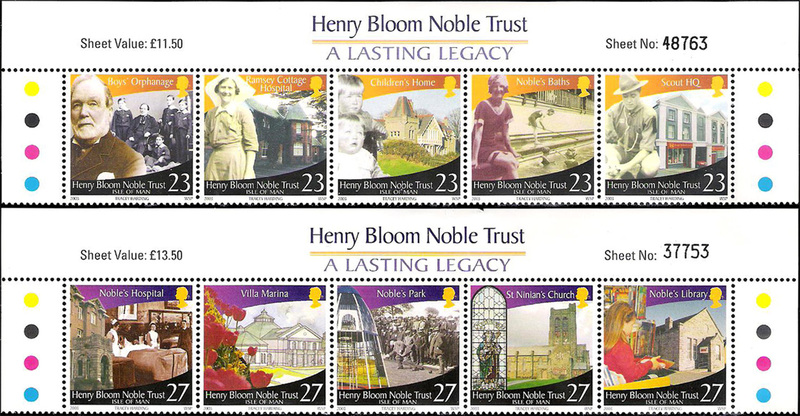 Henry Bloom Noble Trust - a lasting legacy. 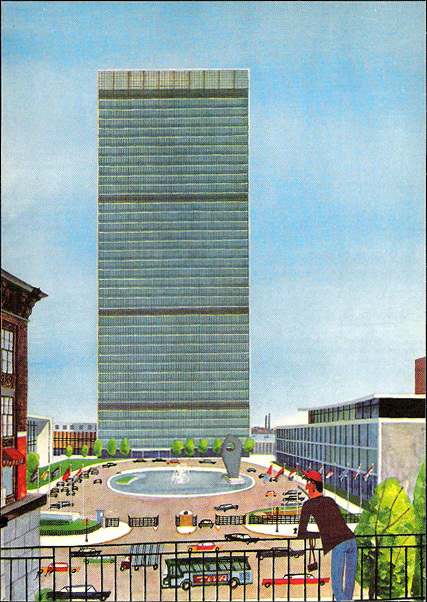 Issue Date: 1 October 2003. 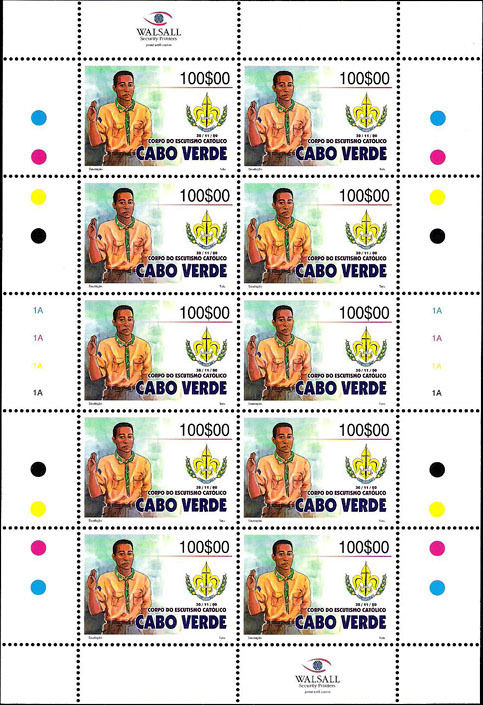 1v of 10v set,also se-tenant in booklet of 5 stamp designs. 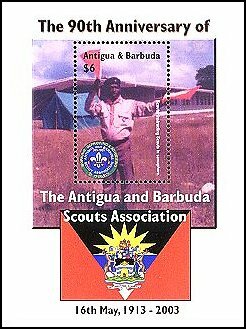 The 23p Scout Hall stamp recognizes the important role that Scouting played in the development of the character of young lads, the H.B. Noble Trustees helped greatly by providing, rent free, the first building on the Island to be solely devoted to the Scout movement. 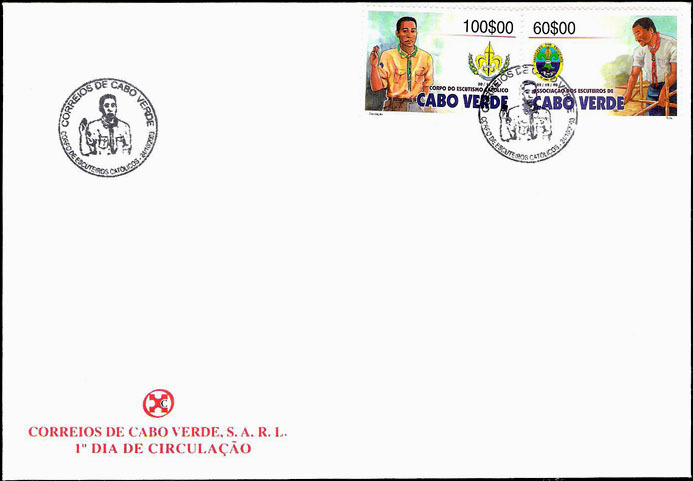 Issue Date: 22 February 2003. 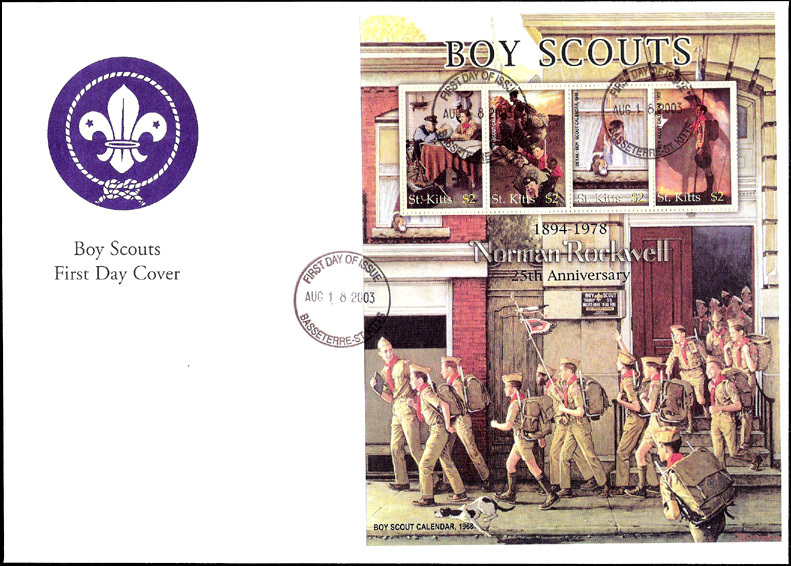 25th Death Anniversary Norman Rockwell / Boy Scouts. Issue Date: 8 September 2003. 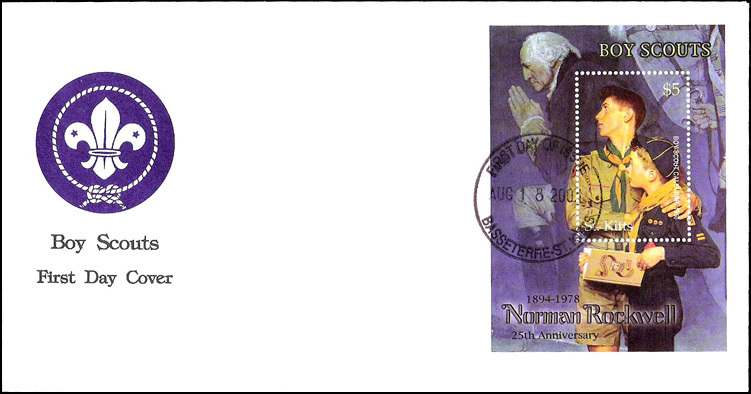 A sheetlet of four different vertical $0.80 stamps that mark the 25th Memorial Anniversary of the great American art illustrator Norman Rockwell (1894-1978). 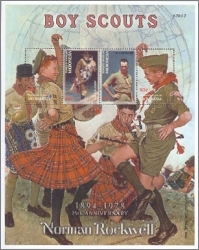 The Micronesia stamps recall some of Rockwell's classic artwork done on behalf of the Boy Scouts of America. 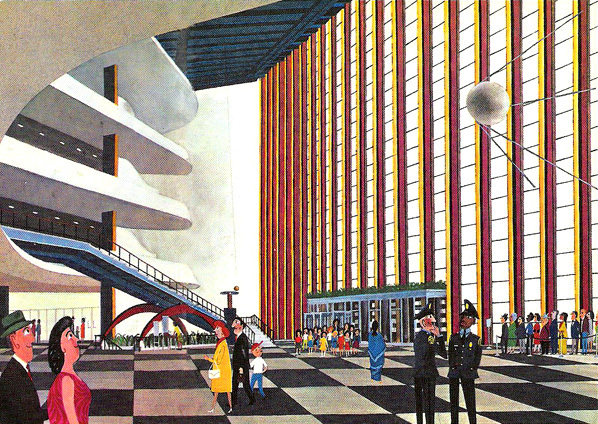 $0.80: a detail from "Boy Scout Calendar 1963"
$0.80: "A Scout is Helpful"
$0.80: a second detail from "Boy Scout Calendar 1963"
$2.00: a reproduction of the artist's 1921 Saturday Evening Post cover titled "No Swimming" which shows a group of boys being chased from a swimming site. Printers: BDT International Security Printers Ltd. (Dublin). 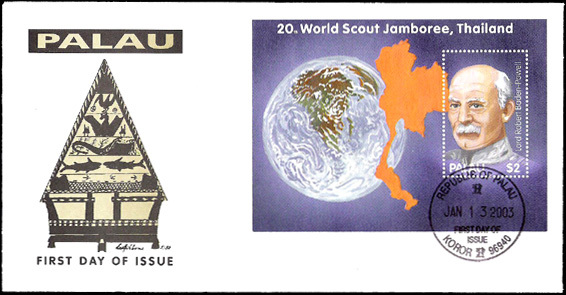 20th World Scout Jamboree. Issue Date: 13 January 2003. Issues Date: 12 February 2003. 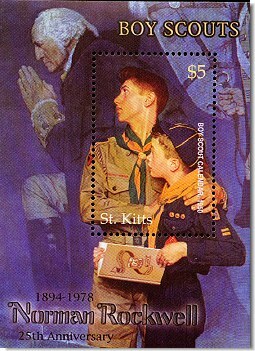 Norman Rockwell / Boy Scouts. Issue Date: 9 January 2003. 4v SS, 1v MS. Values as issued: SS $2, MS $5. 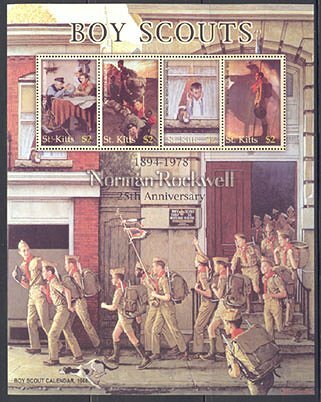 Boy Scouts paintings of Norman Rockwell 1894-1978. 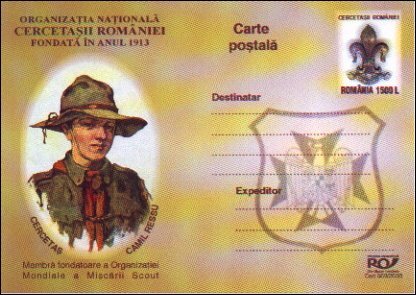 70th Anniversary of Scouting Movement. 2v stamps. Issue Date: 29 March 2003. 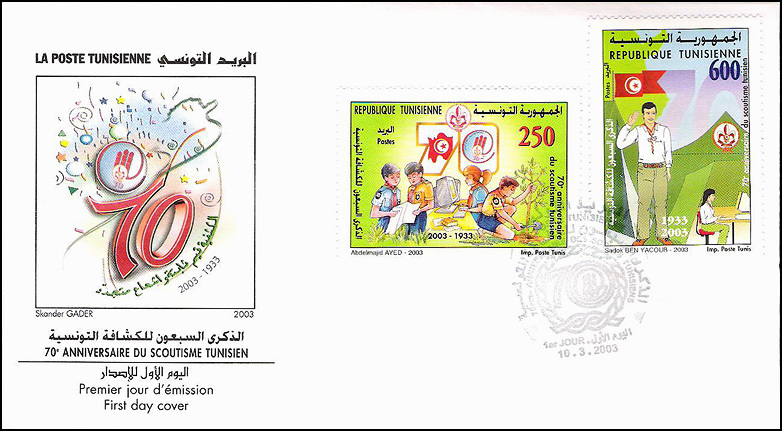 Printer: Imprimerie des timbres-poste de la Tunisie. Quantity issued: 200,000. Issue date 27 September 2003. 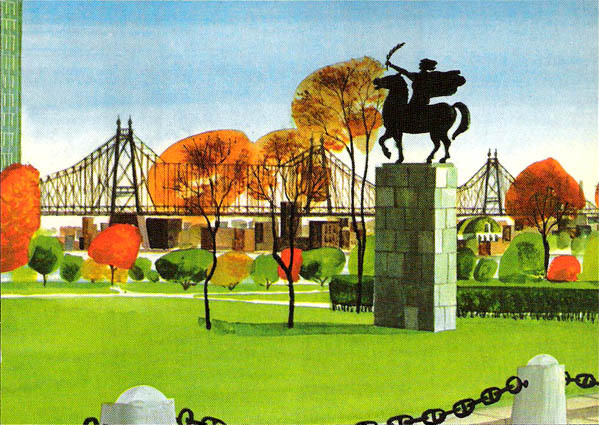 Issue date: 22 October 2003. 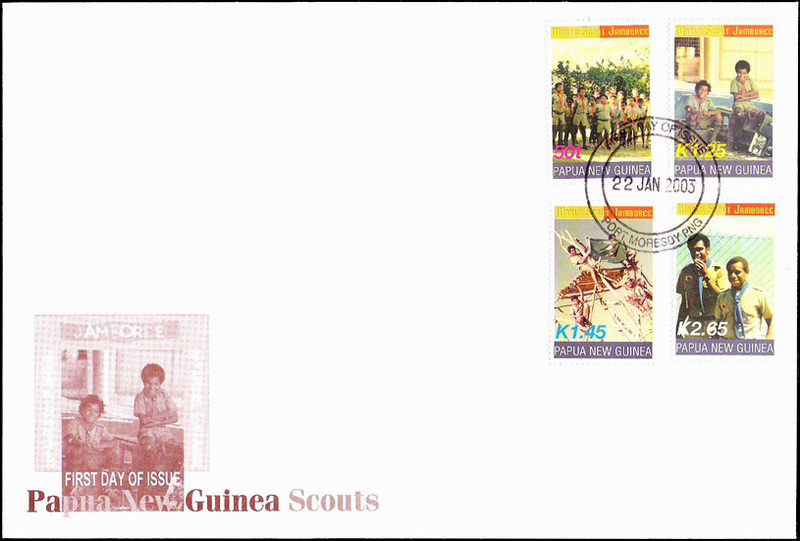 35 Forint Postal card commemorating 50th anniversary (1953-2003) of founding of ISGF/AISG (International Scout & Guide Fellowship/Amitié Internationale Scoute et Guide). 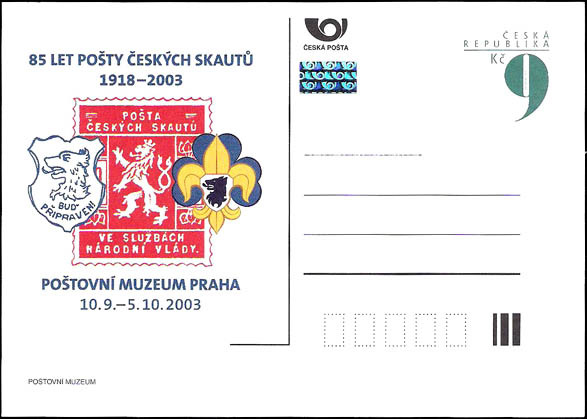 Issue Date: 2003. 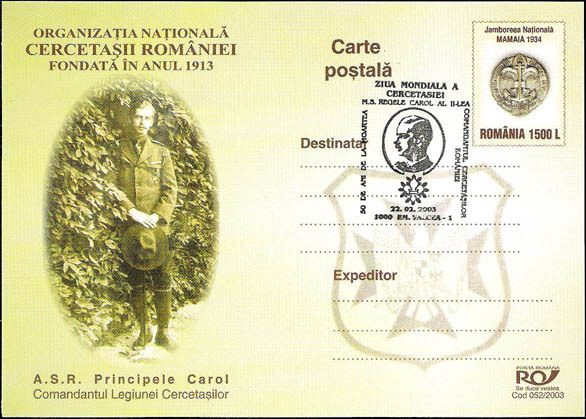 Honoring the 90th anniversary of the foundation of Romanian Scouting in 1913. 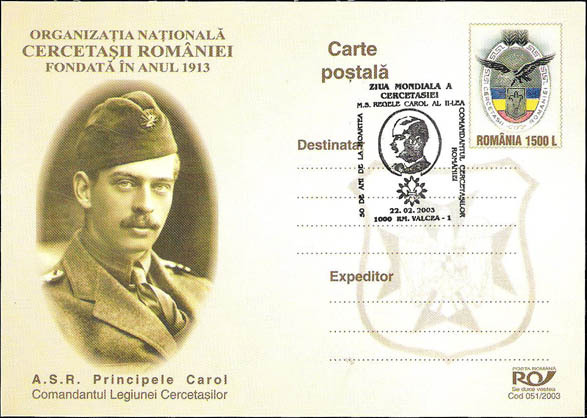 Photos include Prince Carol II and Camil Ressu in Scout uniform. Issue Date: 28 March 2003. 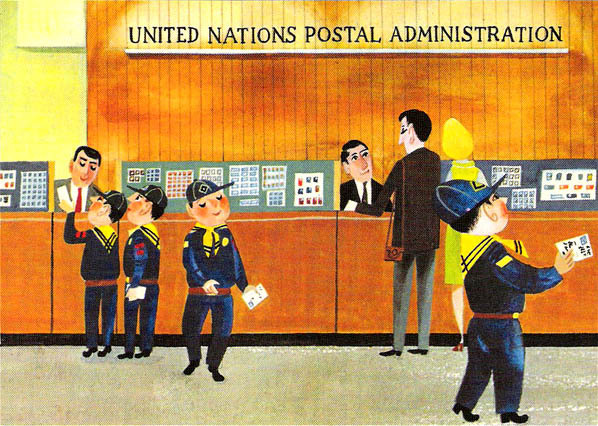 23 cent Post Card Set, one design of Cub Scouts at UN Postal Administration Lobby, illustrated by Sasak . 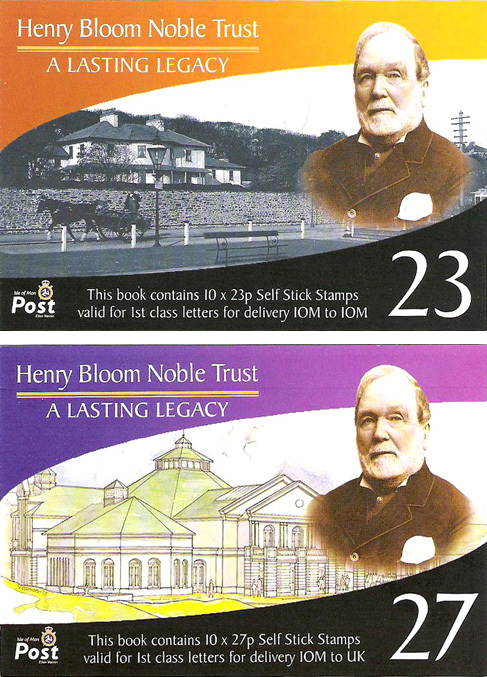 Note: The indicia on each postal card has the same design as the picture side of the postal card. 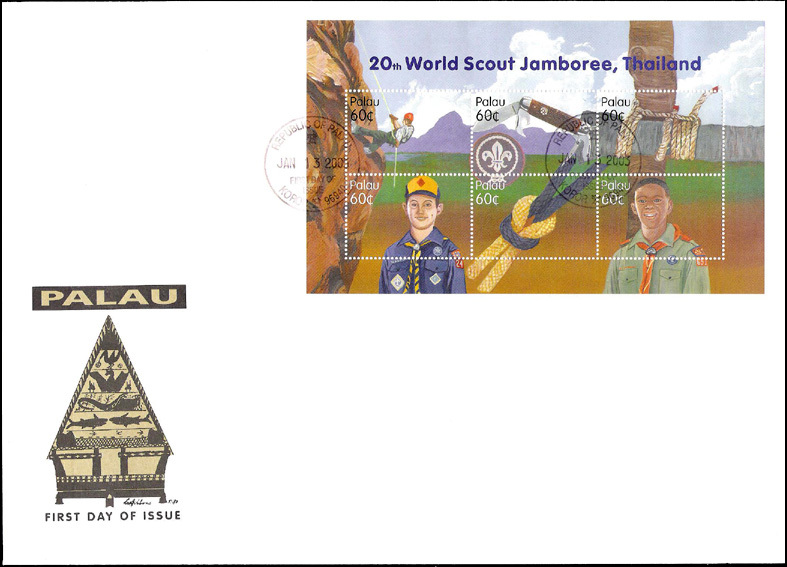 An official stamp issue not specifically commemorating Scouting, but the design includes partial Scouting/Girl Scouting element within the stamp frame, relative to issue. 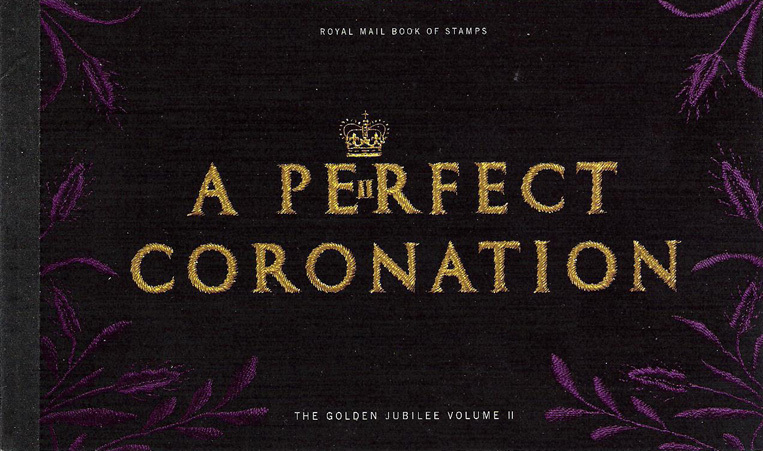 A Perfect Coronation prestige booklet. 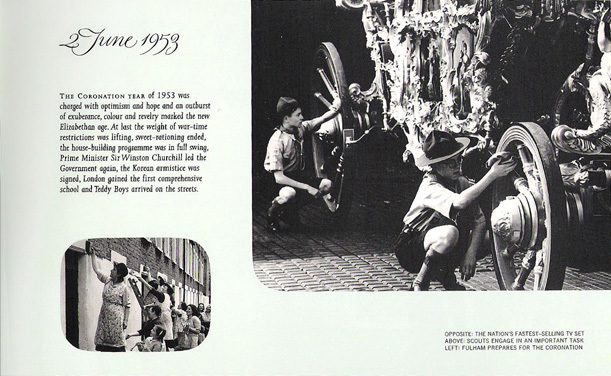 The first page shows a 1953 photo (on the right) of two Scouts polishing the Royal carriage. 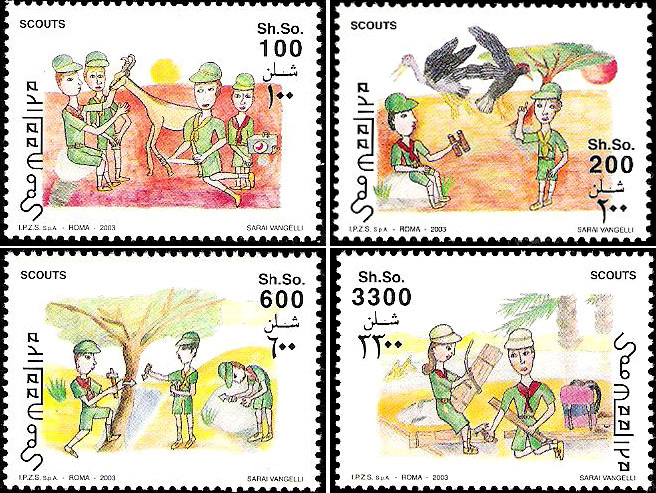 The middle line on the bottom right says: "Scouts engaging in an important task". Boy Scouts with Orchids, WOSM logo. 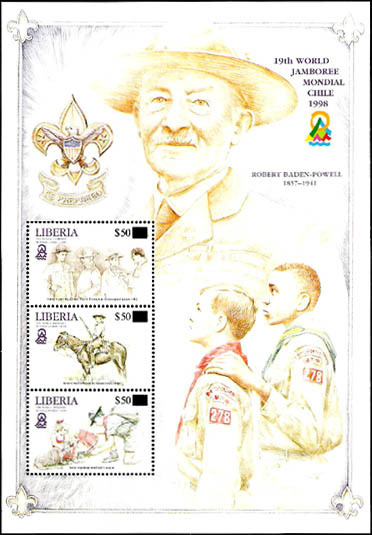 3v MS.
Gold foil postage stamps, depicting owls, mushrooms, and Robert Baden-Powell with WOSM logo. 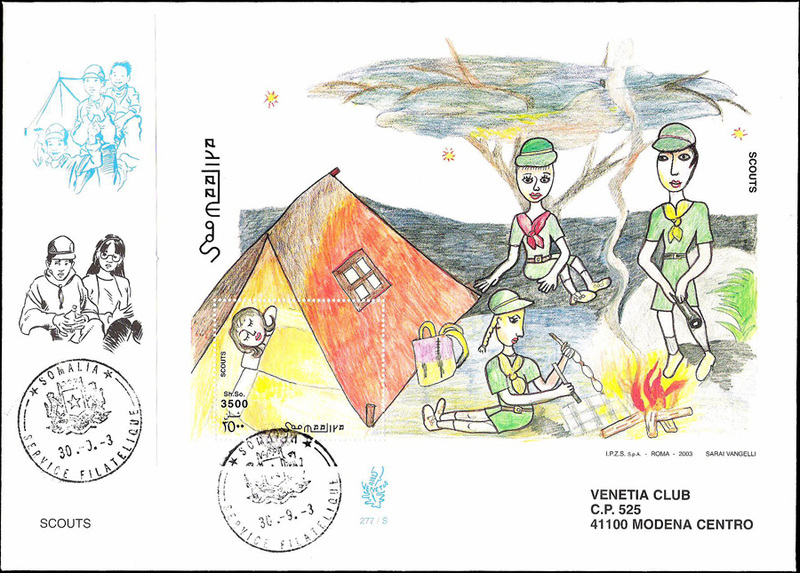 Two 2v MS.
Scouts photos with Baden-Powell inset, 4v MS. 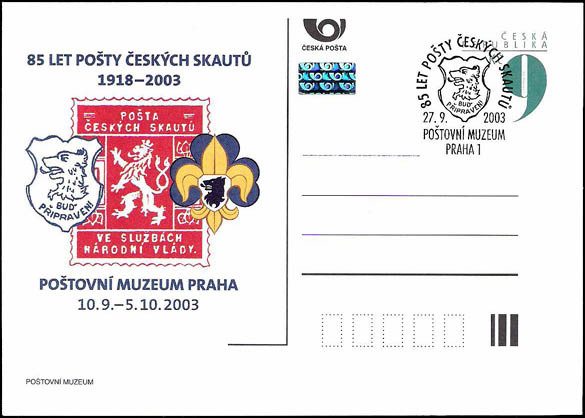 Bees with WOSM logo, 6v MS.
Eagles, Birds of prey, Perf, Imperforate 9v MS. Baden-Powell in design. Horses and Butterflies, Perf, 9v MS, 1v SS. 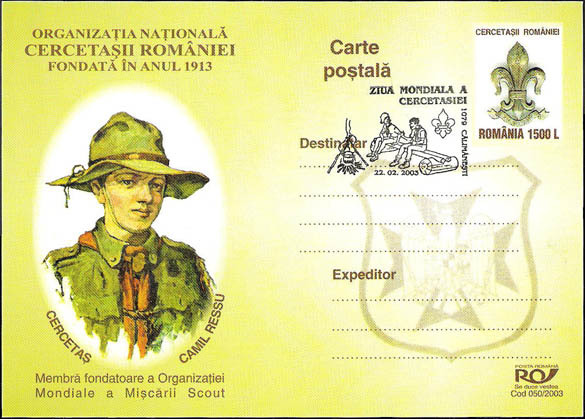 Baden-Powell in design. Issue Date: 30 September 2003. Special Note: This issue is suspect because of the chaotic state of government in Somalia. Labels that are not issued by a federal government for the purpose of paying postage. Many of these are privately printed or overprinted stamps by dealers, so they never had any postal value or use. Their production and sale is banned by the U.P.U. and member states. 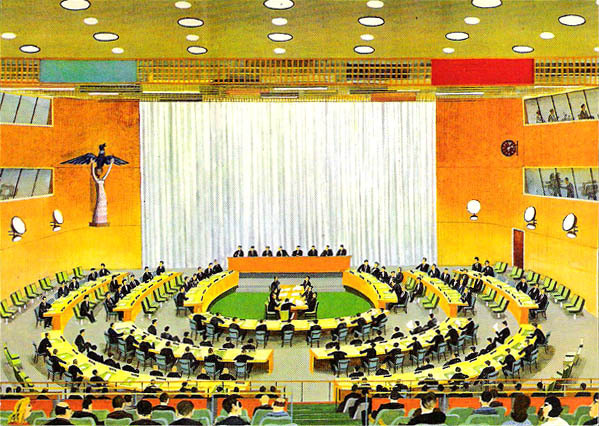 UPU International Bureau Circular #2, 13 January 2003. Orchids and Butterflies with Baden-Powell in design. 9v MS, 1v SS. Orchids and Owls with Baden-Powell in design. 9v MS, 1v SS. Polar bears with WOSM logo, 9v MS.
Arabian horses with WOSM logo, 9v MS.
Thai Ridgeback dogs with WOSM logo, 9v MS.
Gorillas and apes with WOSM logo, 9v MS.
Tigers with WOSM logo, 9v MS.
Lions with WOSM logo, 9v MS.
Leopards with WOSM logo, 9v MS.
Cheetahs with WOSM logo, 9v MS.
White Tigers with WOSM logo, 9v MS.
Turtles, tan border with WOSM logo, 6v MS.
Turtles, grey border with WOSM logo, 6v MS.
Pandas with WOSM & WAGGGS logos, 6v MS. Dogs with WOSM & WAGGGS logos, 6v MS.
Dinosaurs with WOSM & WAGGGS logos, 6v MS. 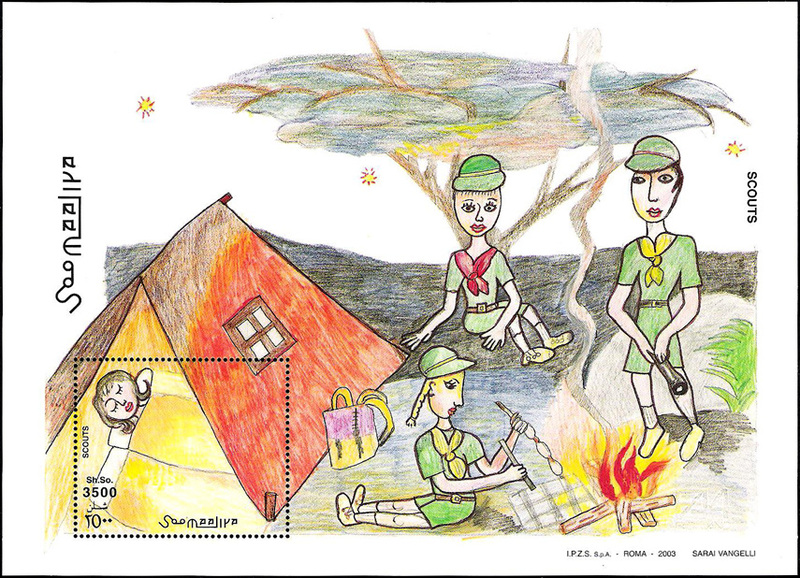 Elephants with WOSM & WAGGGS logos, 9v MS. Endangered Wild Animals with WOSM & WAGGGS logos, 9v MS.
Parrots, grey border with WOSM & WAGGGS logs, 6v MS.
Parrots, photo border with WOSM & WAGGGS logs, 6v MS.
Sloth and Deer, WOSM logo on 2 MS with 1v each. 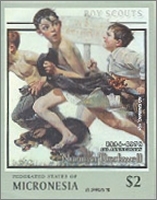 Dogs - Terriers, 6v MS, Scout logo. 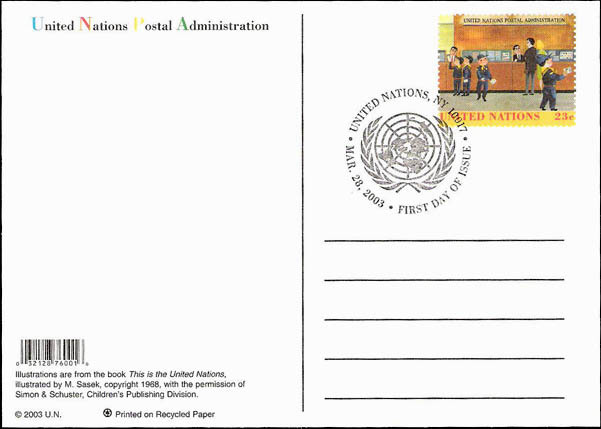 UPU International Bureau Circular #421, 8 December 2003. Celebrities/famous people. Immoral scenes 5x MS with Scout logo. 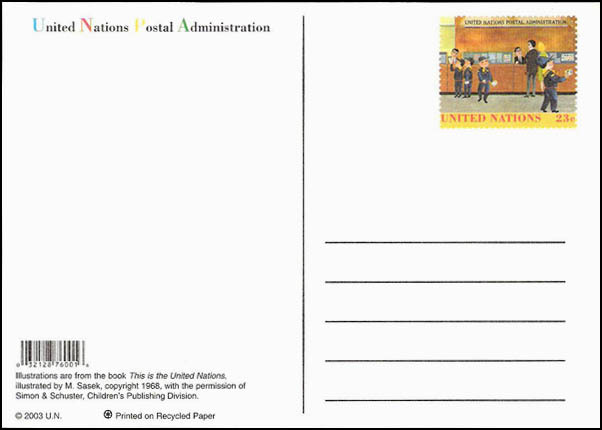 UPU International Bureau Circular #269, 23 February 2004. Walt Disney 11x MS, 250F with Scout logo, 2003. Dogs with Scout badge, 6v MS.
OISEAUX Owls 1x MS, 10v of 200F, 10x MS, 1v of 1000F, Scout logo, 2003. Butterflies with Scout badge, 6v MS. Uniforms of WWII, 5x MS, Scout and Rotary logos, 350F, 2003. History of World Aircraft, 5x MS, 500F with Scout logo, 2003. Fire Engines, 5x MS, 150F with Scout logo, 2003. 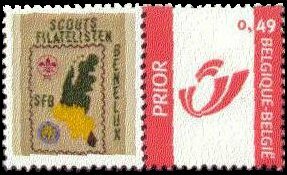 Scouts Filatelisten BENELUX 40th Anniversary (1963-2003) Personalized stamp. Issue Date: January 2003. 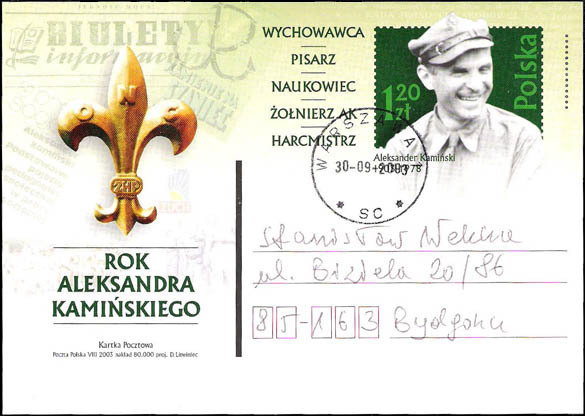 The stamp is issued se-tenant with the Belgium priority stamp to the right: 0.49 € (Euro). The stamp is based on the club emblem designed by Nico Saltzherr in 1979. 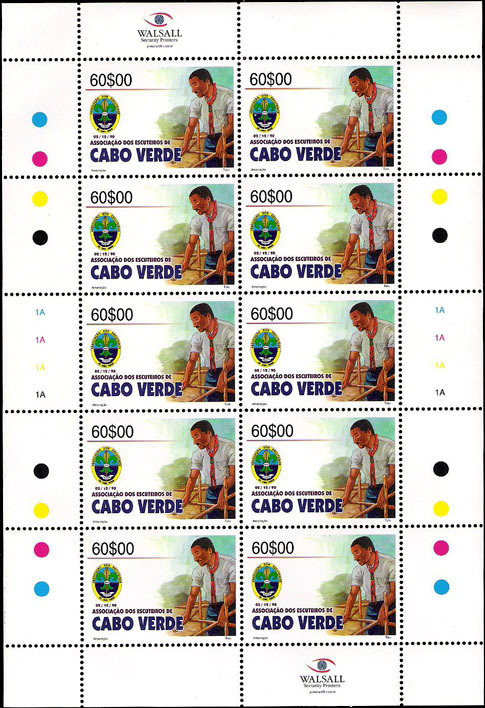 There are 15 duo stamps in a sheet, printed by Vicindo, a commercial agency of the Belgian Post in November 2002. The right site of the sheets bears Philippe van Hille's name and address as addressee. 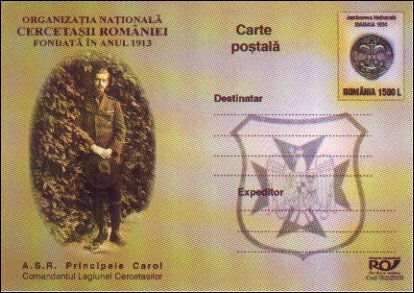 This stamp will be issued and mailed out on postcards only to BENELUX club members, and not sold commercially.